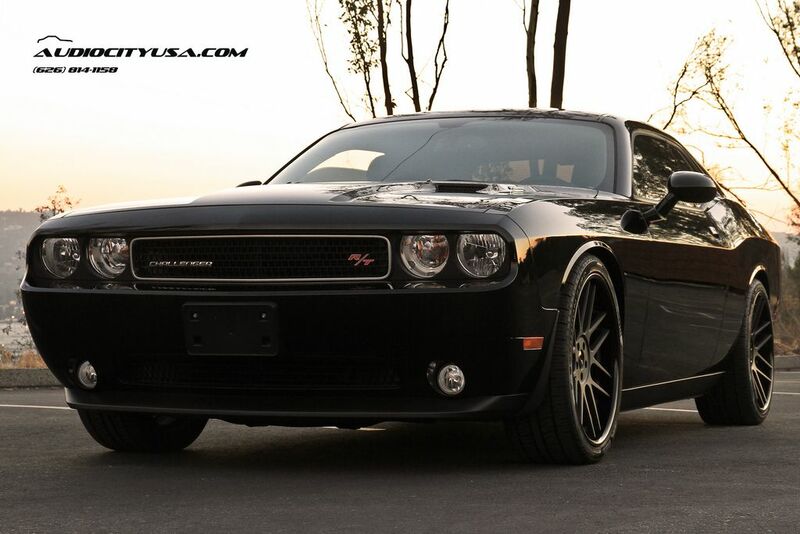 For this 2013 Dodge Challenger RT we ran a set of 22″ Gianelle Yerevan matte black face with a Glossy black lip. Black is a symbol of elegance. 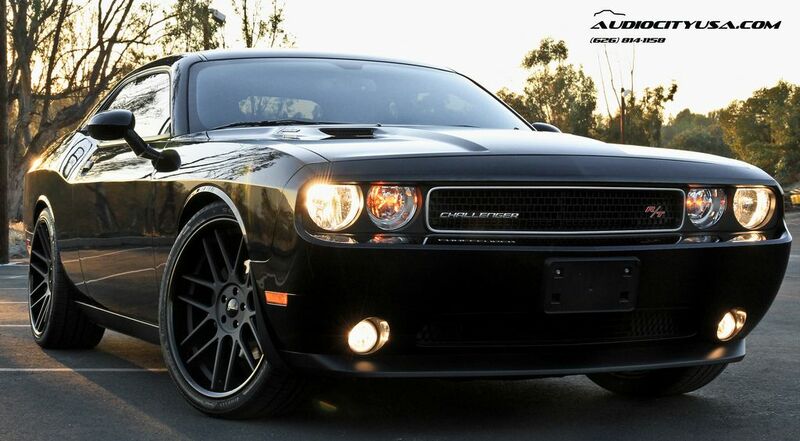 If you love the black color, then you must be a stylish person, and 2013 Dodge Challenger RT is what you need. It’s really awesome! You will go crazy for this car. Its overall style and design make this Dodge a top rated car for most car lovers. We must say that the front part of this car is undoubtedly a unique one. People will simply keep admiring its elegance. This brand new lowered Dodge Challenger RT provides quite an astonishing list of standard characteristics. But as you can see, one may obtain a quicker muscle and get as powerful cars as the money can buy. Needless to say that this innovative lowered package can make the vehicle look superior to every other car. However, we are still wondering whether such appearance is what a customer really wants when purchasing a “muscle car”. It would certainly be appropriate for those who take power above looks every day of the full week. 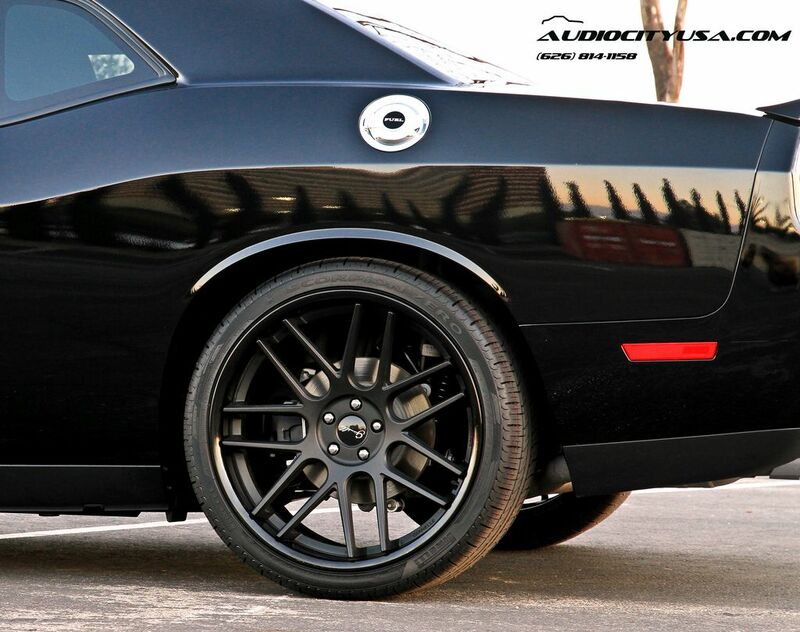 2013 Dodge Challenger RT is lowered on H&R Springs wheels. These wheels are also black, which goes in parallel with the design of the car. Do you like this Dodge? To what extent? Share your thoughts in the comment box below.